If you’ve come to our website, then you’re likely thinking about hiring a personal injury attorney. But in these difficult financial times, you’re probably not confident that an attorney is worth the money you’re going to spend, especially if an insurance company digs in for a fight. So let’s get something out of the way. At Nagelberg Bernard, we don’t take a fee until your case is won or settled. We think this is the only honorable thing to do. If our skills don’t garner you the payments you deserve, then why should we get paid? Stand up for your rights by letting us stand for you. 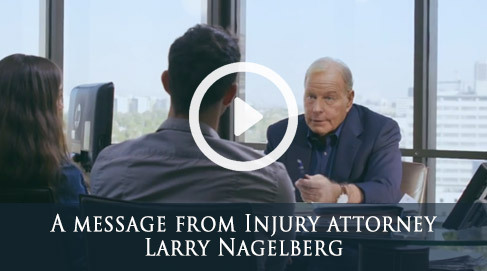 Contact the injury lawyers of the Nagelberg Bernard Law Group at once. If you’ve suffered trauma due to the negligence of an individual or even an entire company, then you deserve the best representation possible. Nagelberg Bernard will gather evidence on your behalf, study the various aspects of the case to determine if necessary safety requirements were followed, and deal with the hassles of insurance companies so that you don’t have to. California law imposes a statute of limitations on accidents, so it’s vital that you contact an experienced injury & accident attorney at once if you’ve been injured. Call us at any time of day for a free consultation by a member of our legal staff, or send us an email on the form on this page and we’ll get back to you immediately.